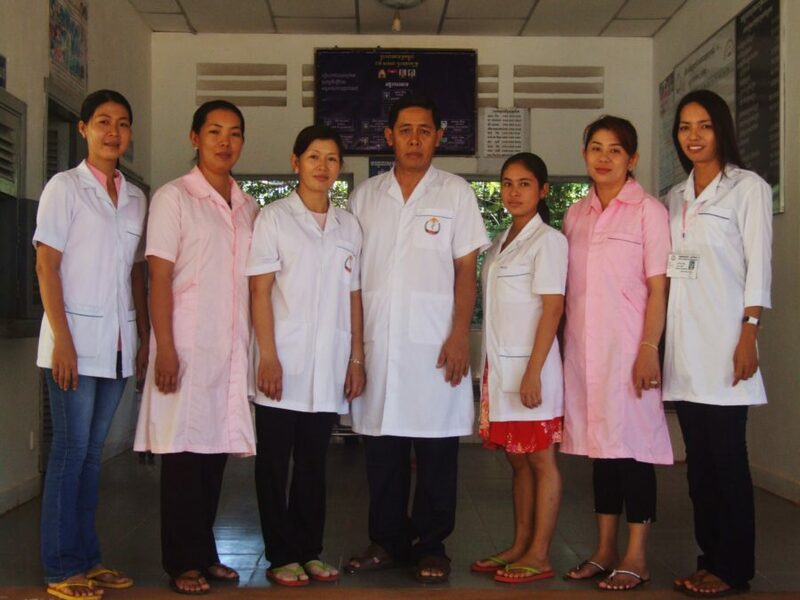 Cambodian Council of Nurses (CCN) was established in 2007 by Royal Decree No. NS. RKT 0906/389 with the aims of ensuring of the public safety by regulating nursing education system and setting the strategic direction for the CCN and overseeing the work of senior CCN staff. Gathering all qualified nurses who can exercise as medical professional assistant in the Kingdom of Cambodia and enhancing the quality, the implementation of nurses according to standard of nursing care for better professional quality and the cooperation of nurses in Cambodia healthcare system to protect the public through registration of all nurses in Cambodia. CCN shall supervise the implementation of principles of morality, righteousness, fairness and loyalty necessary for effective and sustainable performing the medical professional assistants. CCN shall preserve honors and dignity of medical professional assistants. CCN is one of the 5 health professional councils and is the nursing professional body of five Regional Nursing Councils and 24 Provincial Nursing Councils which represents more than 10,000 nurses nationwide. CCN is an autonomous organization in its spending, its supports, and self-autonomy in order to ensure the professional dignity, interest and moral benefits. CCN is responsible to develop the Code of Ethic in Nursing by following necessary point of profession in holding economic and social affairs, which is good progress in terms of patient benefits.